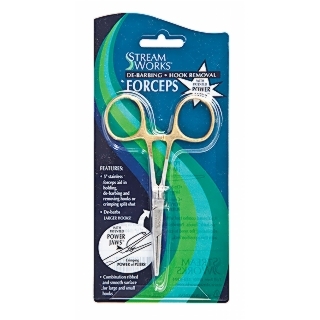 The StreamWorks® patented, high quality stainless steel combo tool, with unique Power Jaws™ de-barbs hooks, crimps split shot and provides the gripping power of pliers, eliminating the need to carry two tools. 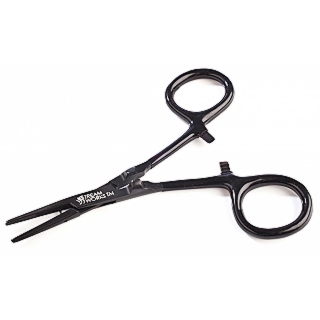 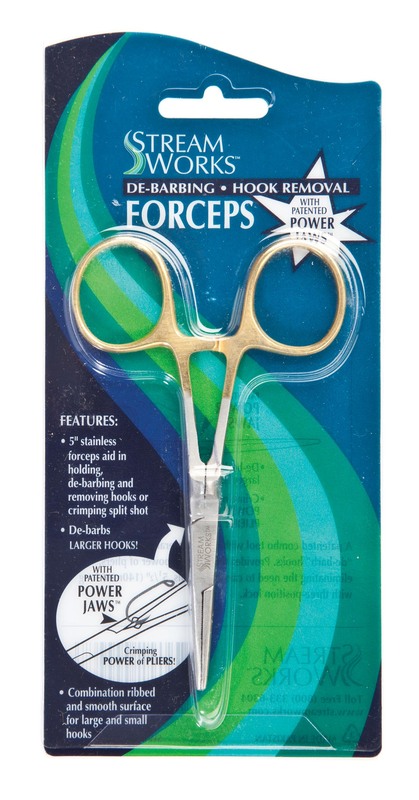 • Unique, patented Power Jaws™ provides the crimping power of pliers for flattening larger hooks. 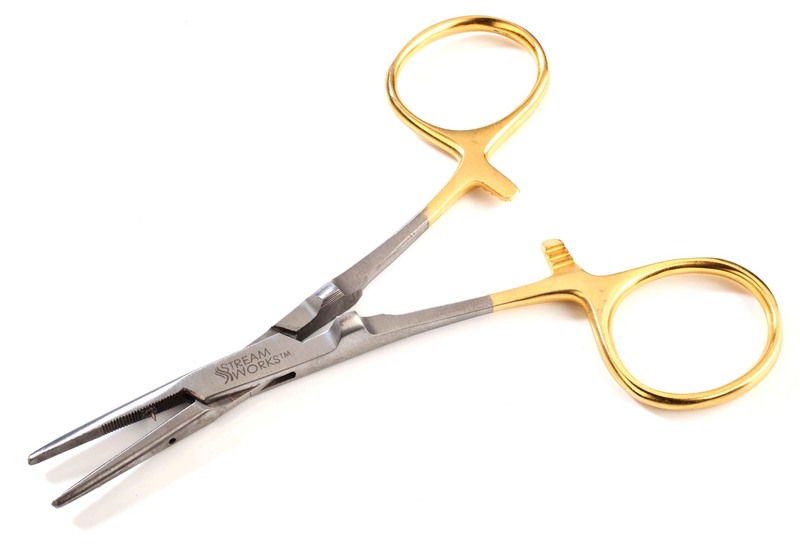 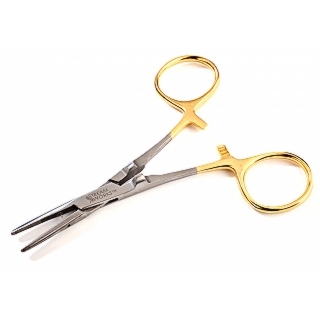 • Combination ribbed and smooth jaw surfaces hold large and small hooks. 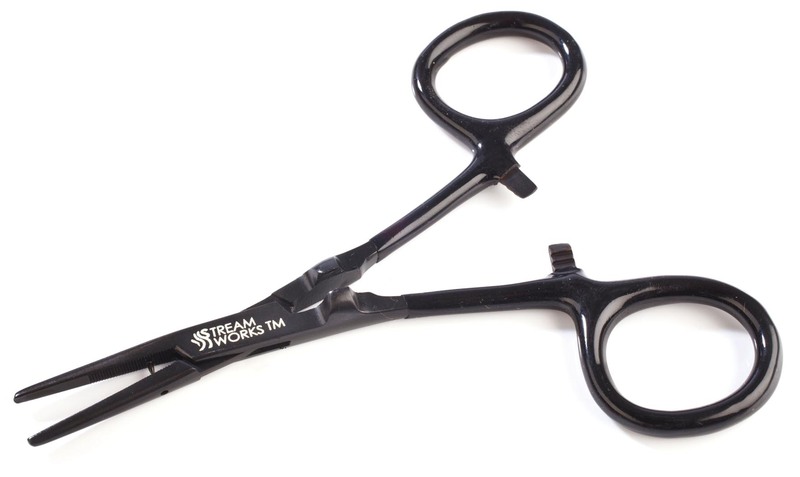 • Convenient needle pressed into the jaws to remove paint and glue from the eye of a fly.